In my hiatus from my blog, I started getting the itch to bake again. However, with working nights, I didn't want to go to the grocery store in my limited time home (Due to working 14+ hour night shifts, and with my commute, I'm maybe home 8-9 hours, during which time I have to get my sleep, walk my dog & shower). So, I was limited to what was in my cupboards for ingredients. And I always have what I need for basic sugar or chocolate chip cookies. 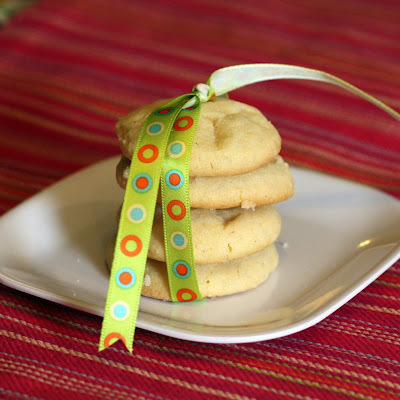 I've been looking for a *good* drop sugar cookie recipe to make my go-to recipe, and I think this will be it! (For now!) 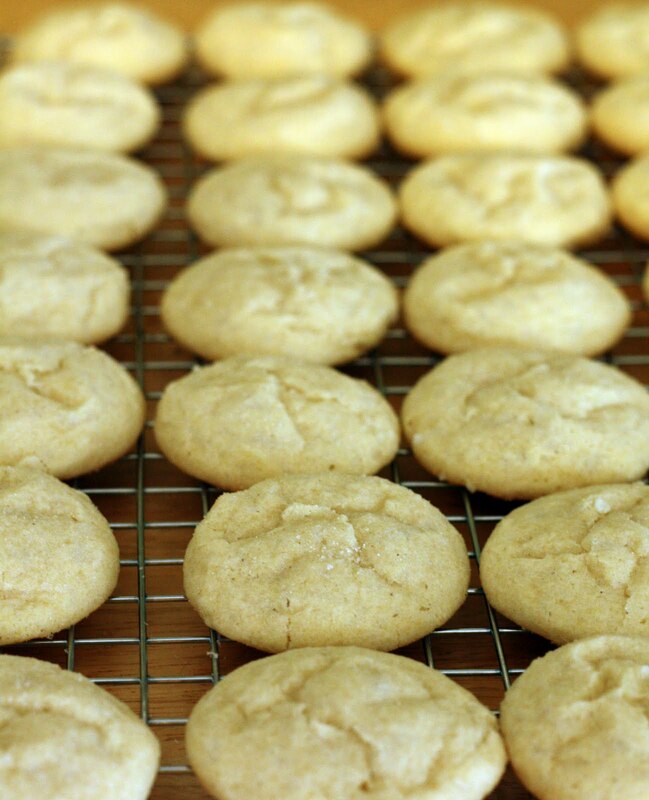 The nurses at work quickly devoured them, and commented that they were perfect - slightly golden, soft & chewy. Set oven rack in middle of the oven. Preheat oven to 350°F. Spread 1/2 cup of the sugar in a shallow dish for coating and set aside. In a separate bowl, whisk the flour, baking powder, and salt together and set aside. Beat softened butter, vanilla and remaining 1 1/2 cups sugar together in a large bowl using an electric mixer on medium speed until light and fluffy, 3-6 minutes. Beat in the eggs, one at a time, until combined, about 30 seconds, scraping down the bowl & beaters as needed. Reduce mixer speed to low and slowly mix in the flour mixture until combined. Give the dough a final stir with a rubber spatula to make sure dough is combined. Line large baking sheets with parchment paper. Using a 1 1/4 inch cookie scoop, scoop dough into balls, then roll in sugar to coat. Place balls on parchment-lined baking sheets, spaced 2 inches apart. Flatten cookies slightly. I'll have to try this recipe. Thanks for sharing. I made these cookies yesterday looking for a good, soft, classic sugar cookie that did't need frosting. They turned out great and are delicious! They're still soft and chewy... mmmm. The only thing is that they are not a super sweet cookie, they're similar to shortbread. I will totally make these again though!